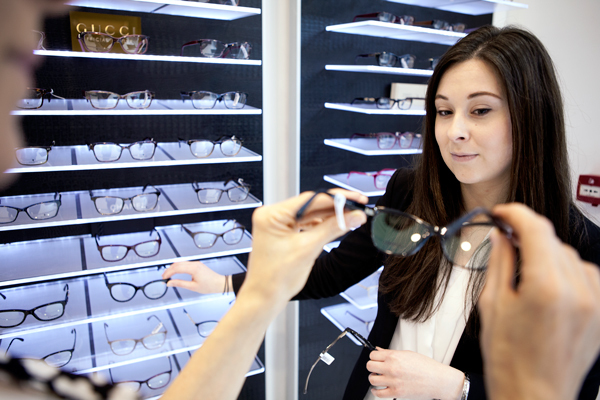 At Hodd Barnes & Dickins Ltd we have always taken pride in putting our patients needs first, and our team of qualified Dispensing Opticians will use a combination of tried and tested techniques alongside new cutting edge technology to make sure your spectacle are fitted especially for you. We specialise in unique visual options, occupational and bespoke lenses and frames. Time is always taken to make sure the perfect pair of spectacles are teamed with lenses that match your optical and lifestyle requirements. Also dispensing low vision aids to those who are partially sighted as well as advising on and dispensing to children are a daily part of our services here. A Spectacle MOT is also suggested every 6 months to make sure your spectacles are in tip top condition with realignment and tightening of the frame all part of our service. So if you are in the city why not pop in and see one of our team.